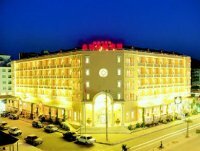 Hotel Laguna is 4 star hotel in Icmeler. Its right on the beach, very comfortable, de luxe and a great location. Icmeler (pronounced itchmiller) is the next town down from Marmaris, a 15 min drive. It is a little quieter than Marmaris and very beautiful. 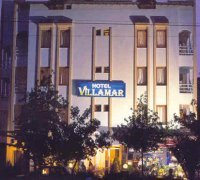 The Villamar Hotel is located in Icmeler bay and commands spectacular views.There are 21 rooms, with TV, hair dryer, music system, air conditioning, balcony, fabulous sea view and are very well appointed. Anemon Marmaris Hotel is situated on the main boulevard, 100 m.away from sea and beach, while restaurant’s ,bar, shopping centre other Marmaris attractions are all either within walking distance or within easy reach. 90 km. from Dalaman Airport. All rooms are equipped with direct dial telephone, bathtub, music, air conditioning, minibar, hair-dryer, satellite tv, balcony. Rooms are heated by central heating.The outdoor swimming pool, children's swimming pool are at your service for your swimming leisure.